Stream movies, music, and more from your tablet, laptop, or smartphone with super-fast in-home WiFi. Plus, get free access to over 500,000 WiFi Hotspots nationwide. With in-home WiFi, everyone in your family can connect wirelessly from anywhere in your home simultaneously. And connecting your smartphone to your Cox in-home WiFi can cut down on cell phone data usage. Use a dual-band capacity (2.4GHz/5GHz) WiFi modem/router. Connect to the 5GHz network for faster speeds and less congestion. Use the 2.4GHz network when you're far away from the router or if your device doesn't support 5GHz. Install your WiFi modem/router in a central location (preferably elevated) in your home to maximize wireless coverage. Avoid placing your modem against a wall, near metal objects, or near cordless phones, baby monitors, microwaves, or Bluetooth appliances. Make sure your equipment isn't outdated—your router should be running on the 802.11ac standard. Set up a wireless range extender to cover a larger area and eliminate any dead zones. Learn more about extenders with Panoramic WiFi. Use the Data Usage Meter to check your household’s total monthly and historical Internet data usage at any time. Follow these simple tips to be sure your WiFi is secure from hackers and pesky neighbors alike trying accessing your network. Every router comes with a generic username and password, so be sure to change both to something unique to you if you haven't already. Create (and remember!) a strong WiFi password with a combination of upper and lower case letters, numbers and special characters. 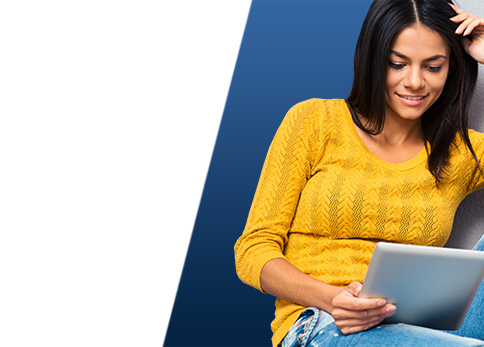 Protect your Internet usage on up to 5 devices with Cox Security Suite Plus—included at no additional cost with all Cox Internet plans. Enable WiFi encryption by adjusting your modem/router security settings to WPA2-PSK (AES). If your router supports it, create a Guest Network for friends and family to access your Internet connection without knowing your primary WiFi password. Guest Networks limit what information inside your home network your guests can see. It’s important to make sure you have the right equipment for the fastest speed and best performance. Outdate equipment could be limiting the speeds you achieve. Visit the Internet Equipment page to learn about Internet equipment types. Plus, discover Panoramic WiFi, Cox's innovative new high speed Internet equipment designed to offer fast speeds and wall-to-wall coverage without dead zones. Enjoy free, unlimited access to the nation’s largest WiFi hotspot network with with Cox Internet Preferred, Premier, Ultimate, and Gigablast. Connect your smartphone, tablet and laptop at over 500,000 WiFi Hotspots in cities like New York City, Los Angeles, Chicago, San Francisco, Phoenix, Las Vegas and San Diego. Easily find a hotspot using Cox's WiFi Hotspot map and instantly connect free of charge with your My Account login.